Sometimes my hair is the bane of my life. A little overdramatic, maybe, but it never does what I want it to do and despite my best efforts, it insists on frizzing up at every opportunity. The solution, I’ve decided, is to stop fighting it. My hair will never be sleek and silky, but I can do a wavy, mussed-up bed-head reasonably well. I’m also trying to take better care of my hair by reducing the amount of heat-styling I do (not always easy in winter, admittedly) and treating it with good quality products. I want products that contain lots of natural ingredients and won’t make my hair dry out (or go the other way and make it look like a greaseball). I’ll be honest, I wasn’t even looking for this, but I got chatting to the assistant at the till and upon hearing about my hair woes, she insisted I try a sample of Roots — she was convinced I’d love it. And I do! Roots is a treatment which you apply to your scalp and the roots of your hair and leave for twenty minutes. It contains three different types of mint (peppermint, spearmint, and a mint infusion), extra virgin olive oil, honey, and nettle. I find it very soothing on the scalp and although its formula is quite thick, it doesn’t weigh my hair down or leave greasy patches. If anything, I’ve had fewer problems with greasy hair since I started using this. The key to washing Roots out, I’ve found, is to apply shampoo and then wet the hair, so that the treatment has already been loosened up a bit when you start to rinse it out. The scent is a blend of neroli, grapefruit, and sweet orange oil but the mint really comes through, too, which is refreshing. Definitely buying the full-size version! The ultimate detox shampoo. 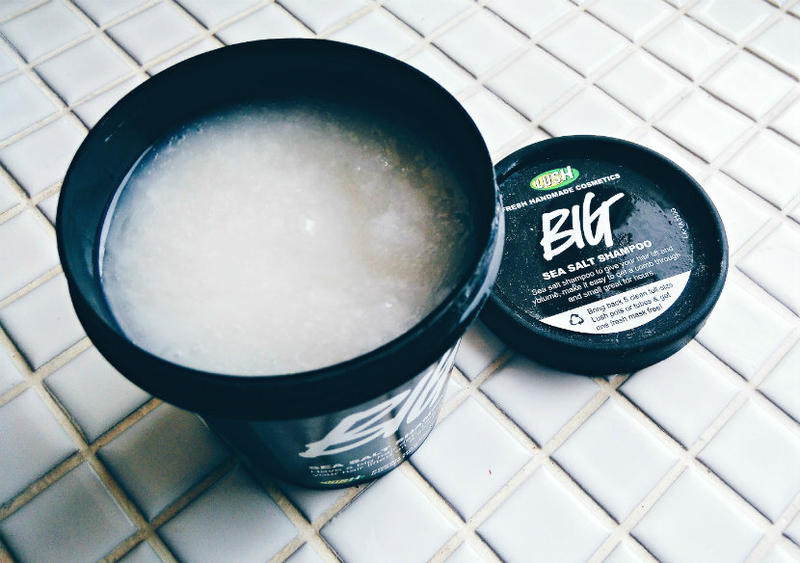 Big is a bit too drying for everyday use, but used once or twice a week (depending on how often you wash your hair) it works a treat at getting all the gunk out of your hair — especially useful if you’re working in a big, polluted city. Key ingredients include sea salt and sea water for volume, coconut oil and seaweed for softness, and lemon and lime for shine. Sounds too good to be true, but I’ve found that Big really does bring out all those qualities in my hair. This is also the only shampoo containing SLS that has never caused any irritation for me. You only need a tiny bit and the pot is huge, so I expect I’ll be using Big (and loving it) for a long, long time. I tried a small sample of this ages ago and I finally, finally got myself a full-size pot! 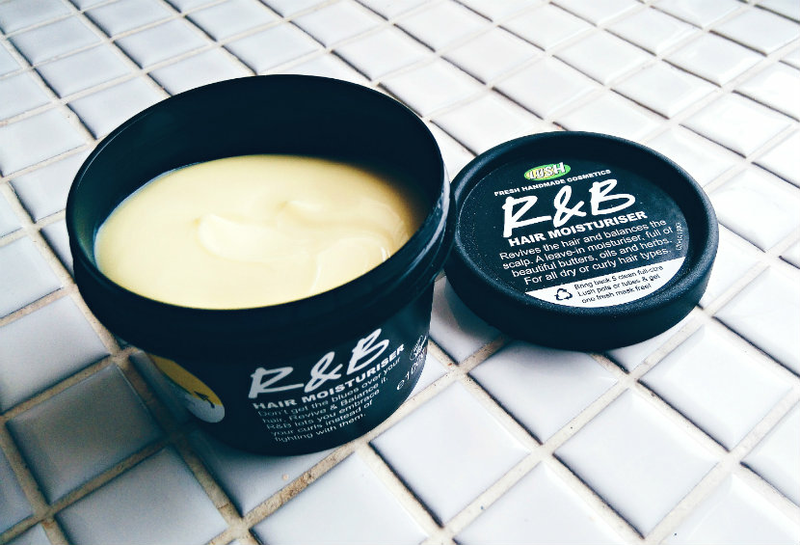 R&B is just the most joyful hair product I’ve ever tried in my life — it smells of Christmas (yep, I said the C word). If you have thick, dry, coarse hair you can use it as a treatment, and if you have fine, dry hair like me you can apply a little bit to the ends for a moisture hit and some subtle definition. A word of warning: You only need a tiny bit, otherwise your ends will go from looking defined to stringy. But don’t let this put you off trying it! The oat milk, avocado, coconut oil, and jojoba oil all go a long way to helping your hair feel a little more alive. 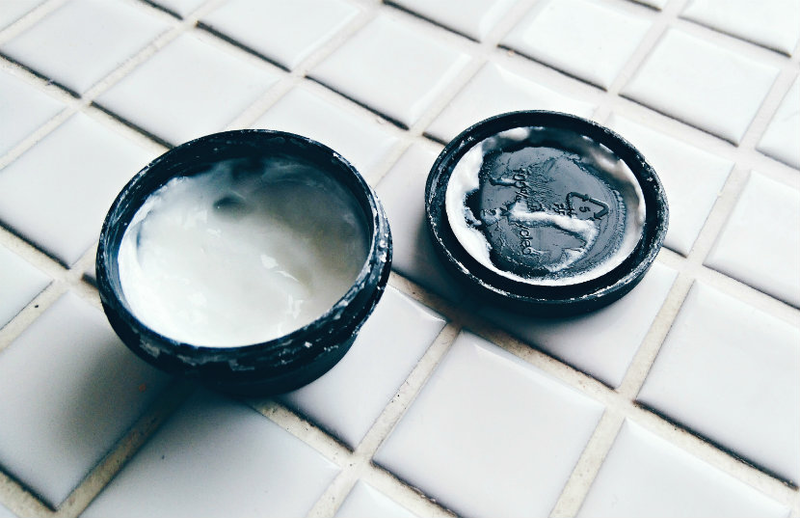 What do you use when your hair needs a detox? Have you tried any of these before? Let me know in the comments!